Nurturing Our Sacred Feminine Naturally – blogposts about bringing sacred awareness into pregnancy, birth, as a mother and a woman. Feeling Sacred in Our Body! That Similac ad! Just cunning manipulation or what is true sisterhood? Stop! Enough reading about it – gonna start living it! What my 23 month old surprised me with today…. Honouring our children – The yearning to be NorMal. Why Parenting Matters…in a nutshell! Basic Hygiene in maternity hospitals – a human rights issue! 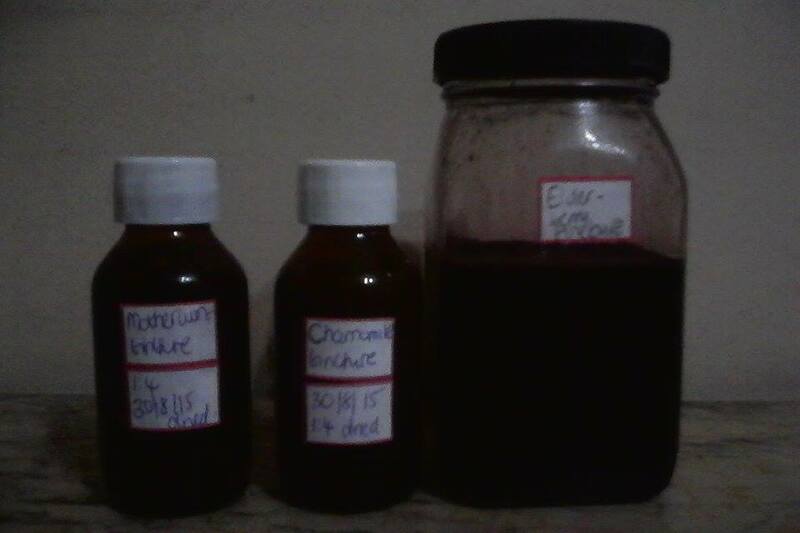 3 random tinctures for your health! Tintures are easy to take. They hold a concentrated dose in a few drops so instead of consuming a whole cup of tea for example you can drop a few drops (about 15) in a little bit of water and drink that. This makes it easier to be compliant with a prescribed herb course or to simply take during the day. 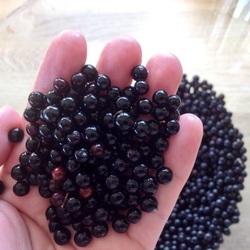 Using vodka as a solvent helps to extract alcohol AND water soluble extracts from the plant. If the alcohol content is too strong for you or if you are pregnant or for a child you can place in a quarter filled cup of warm water and simply swirl it around before taking it. (If you are pregnant please ensure via healthcare provider of herb safety first). Picture credit She Who Eats. 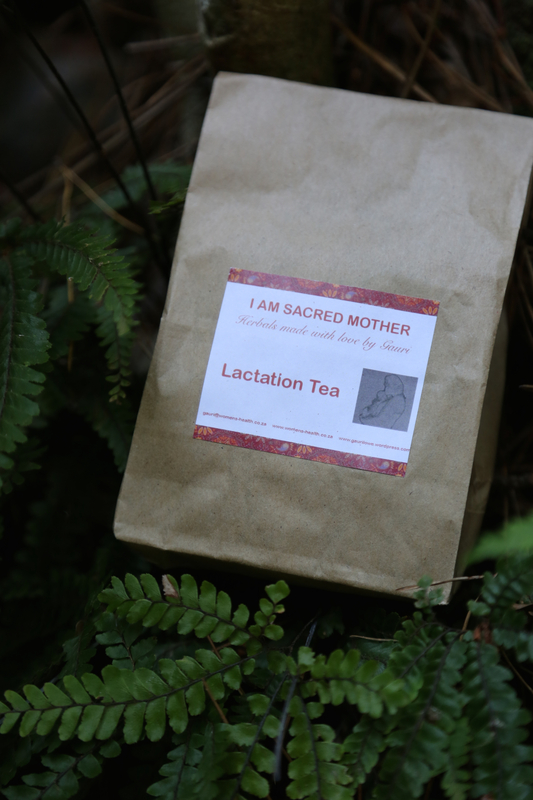 I Am Sacred Mother Herbal range – postpartum care naturally. 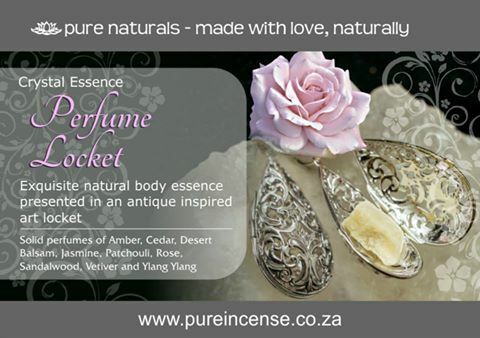 Full Range includes lactation tea, herbal sitz bath, Wound healer and after care formula at R170 for set. 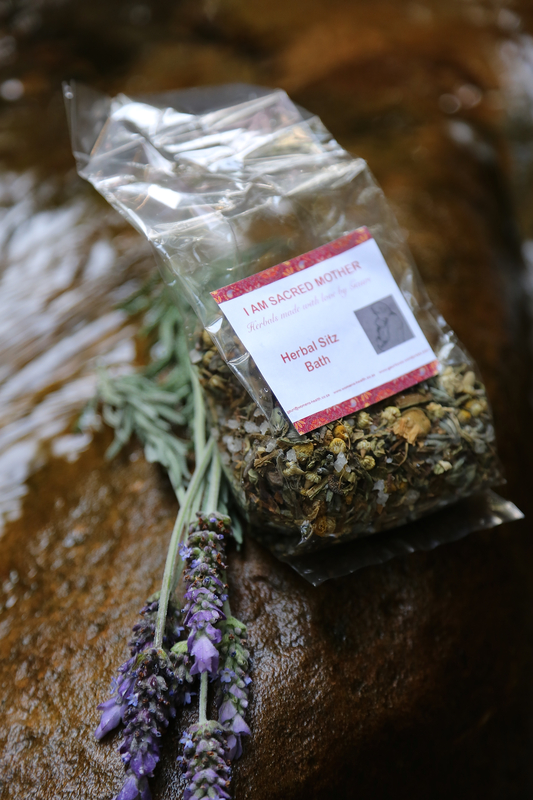 Herbal Sitz bath – for soothing, healing and relaxing postpartum moms. Safe for baby too. Use directly in bath or via an infusion. 6-8 baths per bag. 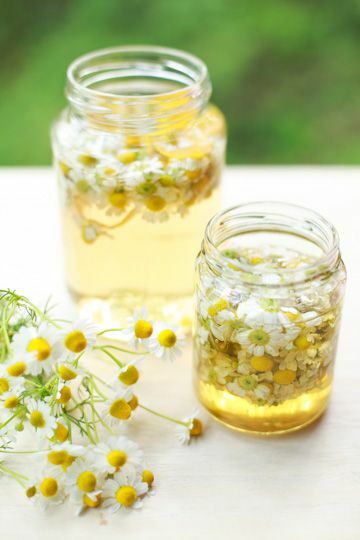 Chamomile blossoms, Comfrey leaves, Lavender blossoms. Afterpain Formula is an internal tincture for after birth pains. With Cramp bark, Yarrow, Motherwort. Wound Healing is an external tincture to apply with a spritzer (included) diluted with warm water or directlt with a compress or dilute with oil and apply to any internal tears or swelling. Helps with swift healing, pain and keeps clean. Postage around South Africa – with SAPO as eco parcel or courier. International postage as per individual costs to be quoted with inquiry. 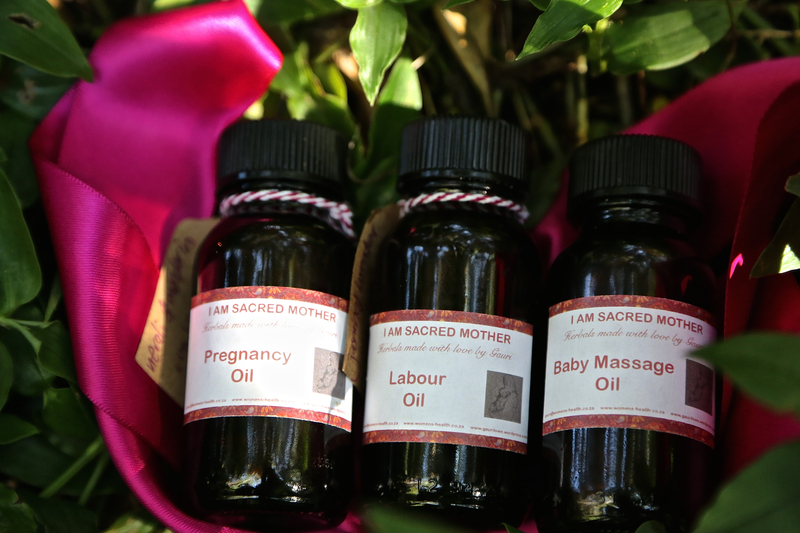 Pregnancy Massage Oil, Labour massage oil, Baby massage Oil. 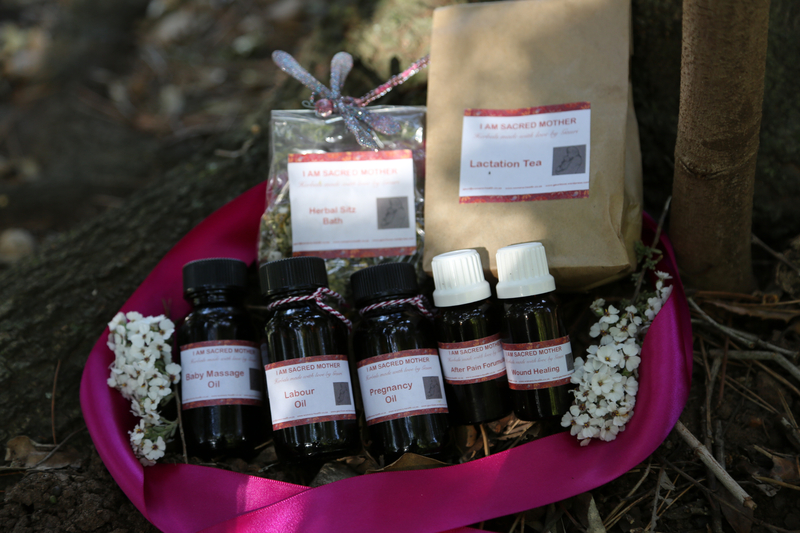 Aromatherapy infused oils. Uniquely made up to enhance physical and emotional symptoms at each phase. R50 each or R135 for set. As a holistic Women’s health and wellness doctor I am very enthusiastic and dedicated to supporting ecological and natural ways to support women’s health and well-being. When it comes to our moon cycle I am all supportive and love working with the actual lunar cycles, honouring our femininity, our fertility and our womb messages. A big part of honouring our moon cycles is to find a Mother Earth friendly, hygienic and comfortable way to support our flow. The more we find out about how long pads and tampons take to decompose (500 years and 5 years respectively), their affect on the environment AND their affect on our bodies (their chemical (dioxin, aluminium) contents) – the more it becomes apparent that natural and earth-friendly alternatives are needed. Many are using cups all ready and cloth pads. 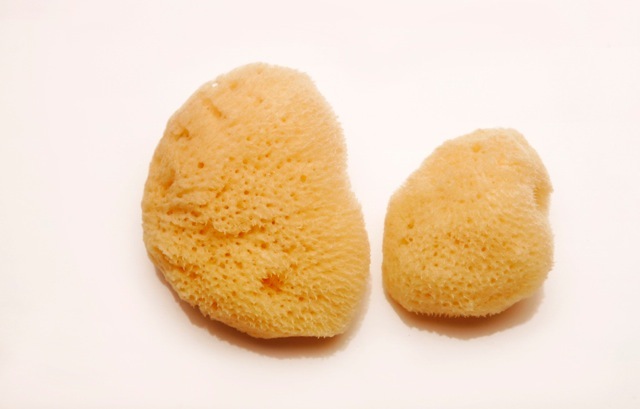 Sea sponges are still unique on the market and are a good alternative when used hygienically and properly. So I am giving it a try! And since I love the idea so much and want to support Mothers and Mother Earth too – and teach what valuable gems and info I gather around women’s health and well-being – I would like to offer you an opportunity too so I am making them available for those who are interested. 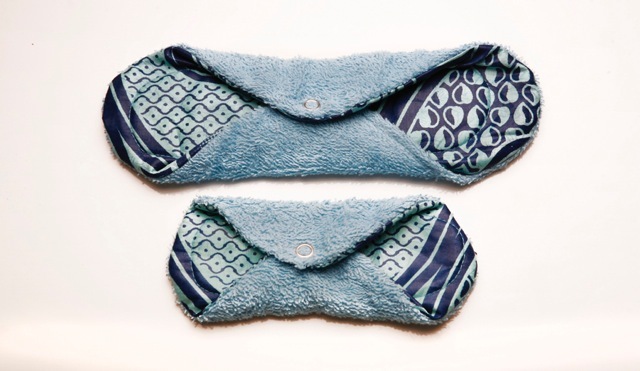 I plan to try them out personally along with the complete set of re-usable (soft, colourful and comfortable) pads as I need during my moon time. 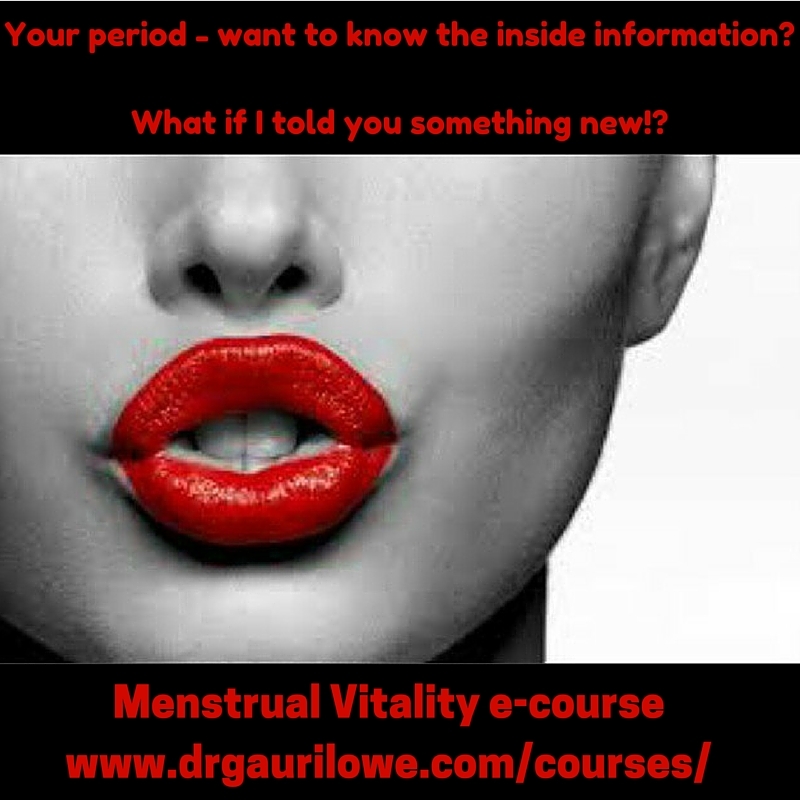 And as I love sharing ideas and teaching what valuable gems and info I gather around women’s health and well-being – I would like to offer you an opportunity too. If you are ready for ecological alternatives for a comfortable moon time care and would like to use the sponges or / and clothers – you are welcome to call me for more info or an order. There will be an opening sale of discounts for first 2 weeks. 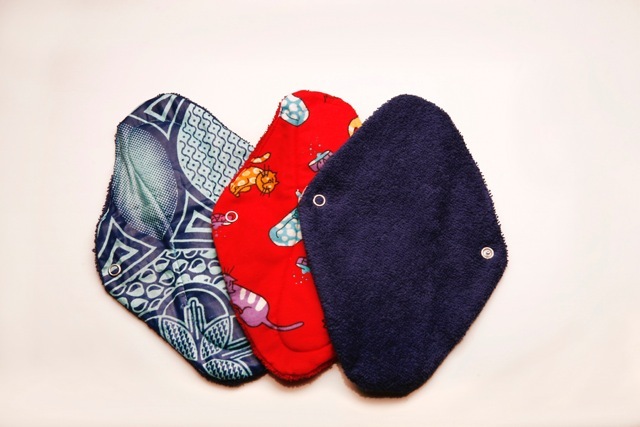 Large and mini cloth pads with press button to fasten. 1 of each in a pack. Various colours available. Full Kit. 2 pads (large and mini). 2 sponges (medium and small). Lavender oil for cleansing. Variety of colours and patterns for cloth pads. Soft light towelling with patterned cotton on outer side. Similac Schimilac – What really is the essence of this Motherhood? Many people were quite moved about the similac advert on motherhood. I was genuinely intrigued by the varied responses; as well as the intensity with which some were portrayed. I initially thought it was a nice message and an important one – “the sisterhood in motherhood”. Doesn’t it just sound very nice? Then I found out it was a formula advertisement and I still thought it was a good message. I reflected on its source and the power of ego and representation of various symbols of groups of people, the intention – the sly intelligence. And I still thought it was a good message. What surprised me were the other responses from so many other people. Why did I not agree with my brethren? (The social network with whom I so easily identified.) Was something wrong with me? Why was I not as passionately inspired by a message when I discovered it is from such a manipulative source? Since I am normally so passionate about these topics!? it really got me thinking. And I slowly allowed the memory and the images to come back to me….I remembered that tangible oneness with all mothers that I had felt when I birthed my first child. When you feel like you are one pulse with a divine organic raw mother Godhead. When the energy pulsing through your body is the same energy shared by mothers all over the universe….crossing cultures education nationality religion and age. That feeling when the world stops and every moment is forgotten except for the amazing beautiful baby you now have in front of you that is yours! The love. The responsibility. The melting away of everything else to consume you in a most deep self-sacrificing love that you never knew possible. And then I remembered my own mother. I found ones perspective of ones own mother changes somewhat when you become a mother yourself. I considered how I might judge her according to her mothering choices she made when she was my age managing life and young children. How I was weaned at 9 months; how I never co-slept; how I attended day creche from a young age….etc and I considered my relationship with my own mother and how I know absolutely and completely that she deeply deeply loved me and trusted me. How I deeply love her and respect her for her unconditional love to me. Now I understand the physiology research of the neuroscience and psychology behind attachment parenting. Shew I devour the research and the articles. I love this science and I get it and I adore teaching it and practicing it because it is SO important for bonding and parenting and giving our little ones the best start! I practice and preach it passionately!! Yet, I again reflect on the nature of the emotive responses to the similac advertisement…. and I considered humility. Now I digress from the content and focus on the mood. Humility is not a cowards quality. It is not a quality of shyness nor inferiority. Humility is a deeply divine quality….true humility gives you a power….a connectedness to faith and an attractiveness. By delivering a message with humility – ones heart can open and one can interact on a heart level. A heart exchange. Not on the level of ego. Ego meaning we are identifying with our status or our choices or what we are known for – which are all part of the material or bodily identity. Humility speaks to people in a way that encompasses everyone equally on a soul level. It does not judge; and it does not divide. It speaks with compassion and love. I realised this is the message I want to bring forward. This is what came pouncing out at me as I reflected on the responses written with such passion and intensity, where I felt divided from the very group of people I most identified with: on this very same topic. Humility is more important to me. That honouring of integrity of words and sharing that does so with love and compassion and not judgement nor ego. How can I stand in outward judgement about the very essence of the sisterhood of motherhood in terms of the various practices a mother uses? No matter how strongly I may feel or know…to come forward in judgement is to nullify our words and intention and mute our message. So is there a trick to express passionately AND humbly? I really must also say that I am not sitting here spouting out “Thou may not judge!” while I sit back and do so. I try not to be a hypocrite ! and I am, too, so far from perfect or even non-judgemental! But I do try. And when I do something that does not feel so good – when I feel my intention was somewhat uncool or facetious, I do reflect on that black dark feeling in my heart and consider how I can make it light again. I just keep trying. And I really feel humility is a good goal to strive for. The sisterhood in motherhood. Why not? Why see so much more into it than simply that? Even if we know without a doubt that our choices on parenting issues are perfect and superior and right. How do we get to play that card and lose our integrity to important qualities and values we are so desperate to grow and imitate for our children? I would love to hear your thoughts and comments! Please feel free to leave your own ideas here. If you would like to read more about parenting here is an interesting blog about how parenting affects our children and society! This photo was posted on my timeline, in a private message and I posted it on my page. It kept being removed. It was removed by other people who posted it too on their pages. It’s not a new story but this photo carries an important message. It normalises normal birth. It normalises unassisted family welcoming a baby into the world. We all know that if it was a picture of a mother in a sterile gown having her baby shown to her wrapped up with a clamped cord by similar sterile strangers with gloves it would not be removed. BUT THIS is the picture that needs to come into our heads when we consider birth. When we consider welcoming a new baby into the world, a new member of our family, a child to mother and father. This is statistically how over 75% of women can have babies. Yes! Babies come out of vaginas! And yes fathers and mothers can welcome their babies with love like this!! Share in whatever way you can – this is the important message we need to get out! If you are interested in viewing this graphic but beautiful picture with honour, respect and sacredness – please find the picture here https://www.pinterest.com/pin/57069120254950471/ . or here https://gaurilowe.files.wordpress.com/2015/04/2015-03-16-22-05-44.jpg. Get your free e-booklet here! Menstruation Diaries. NEW! 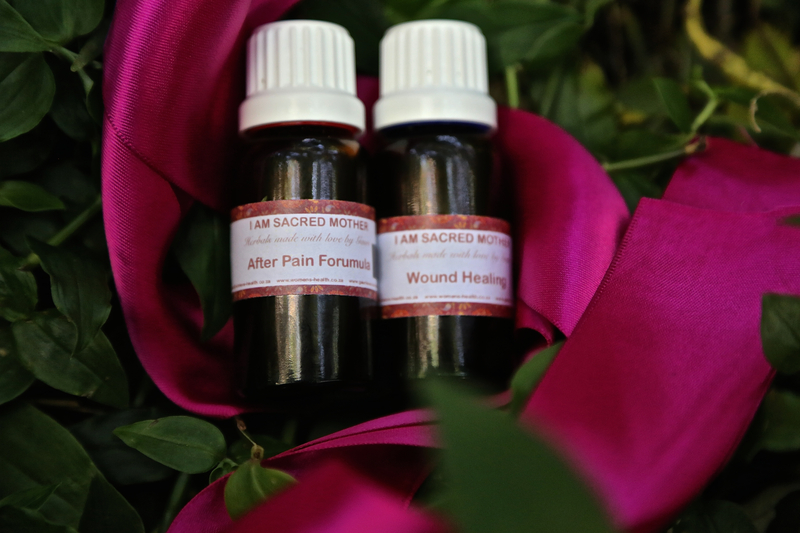 Press here to receive regular newsletters from I Am Sacred Woman on everything about a being sacred woman and mother, along with health tips, recipes, inspirations and stories. If you would like to hear more about Sacred birth practices and more please sign up to I Am Sacred Woman to receive regular updates – by clicking on menu bar on left and scrolling down to “Follow”. We would love you to join I Am Sacred Woman community! Don’t Let Them Take Away Your Baby!